Join us for the Segal Center’s investigation into Performance Robot Dramaturgy, which examines new concepts of theatre through performance-based explorations of liveness and the dialogue between man and machine. Influential Japanese theatre artists Keisuke Takahashi and Mikuni Yanaihara (Nibroll), will join with Marianne Weems (The Builders Association), and Japanese theatre and contemporary performance specialists Peter Eckersall (Professor of Theatre, GC CUNY), Shintaro Fujii (Professor of Theatre, Waseda University/Tokyo), Katherine Mezur, Cody Poulton (Professor of Japanese, Victoria University/Canada), and Krisztina Rosner (Postdoctoral Fellow, Waseda University/Tokyo) to explore contemporary aesthetic practices of Performance Robot Dramaturgy. The event will be followed by a think-tank Performance Robot Dramaturgy workshop. The workshop is by invitation only. There is a similar town. Seemingly they are calm by peace, but who knows what will happen tomorrow? After 3.11, in Japan, we have lost many things. The lost told us that tomorrow might not be the tomorrow. We have experienced the night which has never come and the night which has never ended at the same time. What we need now is to understand the real meaning of the repetition of both life and death. The day when we must receive it gets closer to us. It is because we live in now, and we memorize a past, and this is because it thinks about our future. We think that it is that it is possible for us to begin to ask it with what to do not asking you a question why such a thing happened in now. Not thinking why such a thing happened, we have to ask oneself, what would be the best thing to do? The only thing that we can do is that. a town is an everyday occurrence, and our day life, and also the past history. We regarded a sense of distance of the personal need and the demand for group. We learn the present from the memory of the town. We tried that we talked facing a meaning of the essence without being confused by camouflaged environment. We think that this similar-shaped town has reality necessary for us now. This event is supported by the Japan Foundation through the Performing Arts JAPAN program and Agency for Cultural Affair, Government of Japan. 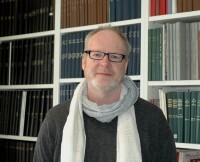 Peter Eckersall is Professor of Asian Theatre at the Graduate Centre, City University of New York. Recent publications include We’re People Who Do Shows, Back to Back Theatre: Performance, Politics, Visibility (co-edited with Helena Grehan, Performance Research Books, 2013), Theatre and Performance in the Asia-Pacific: Regional Modernities in the Global Era (co-authored with Denise Varney, Barbara Hatley and Chris Hudson, Palgrave 2013) and Performativity and Event in 1960s Japan: City, Body, Memory (Palgrave 2013). He was the cofounder of Dramaturgies and was the resident dramaturg for the performance group Not Yet It’s Difficult. 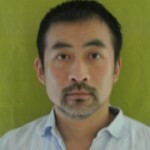 Shintaro Fujii is a professor in theatre studies at Waseda University, Tokyo. He specialises in contemporary performing arts, with a focus on francophone countries and Japan. He writes on dramaturgy of the works of such prominent artists as Romeo Castellucci, Robert Lepage and Dumb Type, as well as on cultural policies concerning performing arts. He has been the co-editor of Creative Force in Postdramatic Age, Hakusuisha, 2014 (anthology of interviews with artists such as Rimini Protokoll, Romeo Castellucci, Gisèle Vienne…), Arts and Their Environment, Ronsosha, 2012 (anthology of essays on national and international cultural policies), Théâtre/Public, no.198, “Scènes françaises, scènes japonaises: allers-retours”, 2010 (special issue of a French review on exchange in theatre between Japan and France). 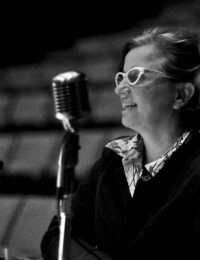 Katherine Mezur is a freelance dance, theatre, and performance studies scholar, curator, choreographer and director. Mezur holds a PhD in Theatre and Dance from the University of Hawai’i Manoa, (MA Dance Mills College, BA Film Hampshire College). 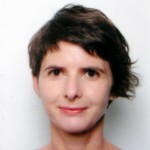 Her research focuses on transnational East Asian performance influences and practices. Mezur writes on Japanese traditional and contemporary performance, girl cultures and their live and mediated performance, and gender performance from kabuki to J-pop. 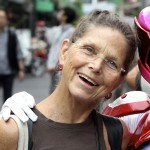 Her books and articles include, Beautiful Boys Outlaw Bodies: Devising female-likeness in Kabuki, “Stranger Communities: Art Labor and Berliner Butoh,” and in progress: Radical Aesthetics: Performing Sweet and Deviant in Contemporary Japan, She has held positions at Georgetown University, CalArts, McGill University, and the University of Washington, Seattle. She is a co-curator for the Performance Studies international (PSi) Fluid States, Aomori, Tohoku conference and core member of the Butoh research unit Portfolio Butoh at Keio University Art Centre, Tokyo. 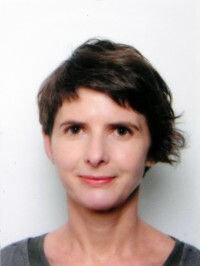 She was a Research Fellow at the International Research Center, “Interweaving Performance Cultures,” of Freie University Berlin. Current projects focus on the fabrication of girl/animal technologies, “Girls “R” Pets: The Power of Kawaii (Cute) Imitation and Empathy in Japanese Pet/Girl and Pet/Animal Performance,” “Dramaturgies of Migration,” and an edited book, Dancing East Asia: Corporeal Nationalisms, Aesthetic Politics, and Radical Choreographies. 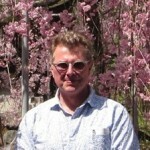 M. Cody Poulton is Professor of Japanese literature and theatre in the Department of Pacific and Asian Studies at the University of Victoria, Canada, where he has taught since 1988. Active as a translator of Japanese fiction and drama, he is author of Spirits of Another Sort: The Plays of Izumi Kyōka (2001) and A Beggar’ Art: Scripting Modernity in Japan, 1900-1930 (2010). He is also co-editor (with Zdenka Svarcova) of Dreams and Shadows: Tanizaki and Japanese Poetics in Prague (2007); (with Katsuhiko Endo and Richard King) of Sino-Japanese Transculturation: from the late nineteenth century to the end of the Pacific War (Lexington Books, 2011); and (with Mitsuya Mori and J. Thomas Rimer) of TheColumbia Anthology of Modern Japanese Drama (2014). 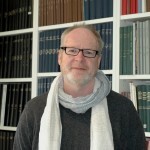 A current Fellow of the Interweaving Performance Cultures International Research Center at Berlin Free University, he is preparing a book on the nonhuman in Japanese theatre. 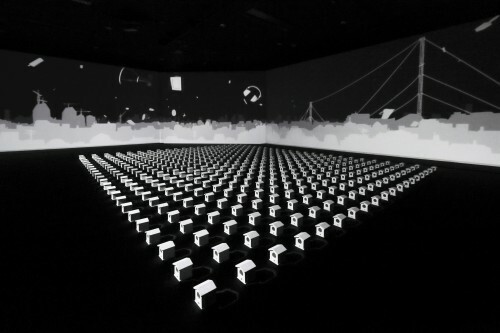 Keisuke Takahashi Video artist, Takahashi has created many visual installations in various space such as museum, gallery, theatre and public space. and he also has created performance pieces and intend to pursue the relationship between body and image. He held the solo exhibition the gallery in Milan, Italy and Taipei, Taiwan, and in Japan, SENDAI Mediatheque, BankArt1929, Ohara Museum and others, and also jointed to the international exhibition such as SHANGHAI Biennial, ECHIGO-TSUMARI Triennial and others. 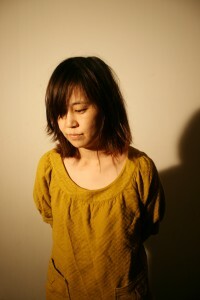 His works has been presented in arts festivals throughout Japan and the world. 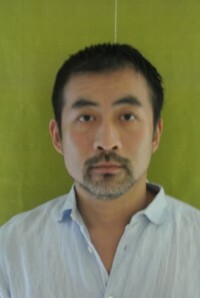 He received the MAM Contemporary Award from Mori Art Museum in 2004 as well as the Committee Recommendation Award from Japan Media Arts Festival in 2006. 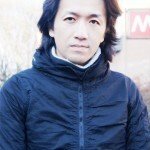 He also has created many performance works as the visual director for the dance company named “Nibroll “. 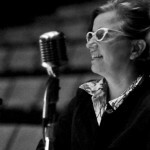 Marianne Weems is artistic director of The Builders Association and has directed all of their productions since the company began in 1994. In the past, she has worked with Susan Sontag, The Wooster Group, David Byrne and many others. She is the former head of Graduate Directing in the School of Drama at Carnegie Mellon University (2008-14), and is building their Integrative Media Program in NYC. She serves the board of Art Matters, is the co-author of Art Matters: How The Culture Wars Changed America (NYU Press 2000), and has co-authored a book with Shannon Jackson on The Builders Association published this October by MIT Press. 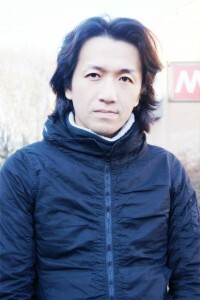 Mikuni Yanihara is the director and choreographer of Nibroll. Known for her unique style of choreography based on everyday movements and her critical expression of contemporary society, She has been invited to perform in various parts of japan, as well at international festival, Oregon Dance Festival, San Francisco’s BUTO Festival, Laokoon Summer Festival(Hamburg, Germany) and Kitchen in New York. 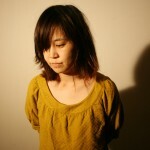 Also a playwright and director, she won the KISHIDA KUNIO Drama Award 2012. Yanaihara also creates visual artwork under the name off-Nibroll and has participated in exhibitions at festivals and venues, including the Shanghai biennale, the OHARA Museum of ART and MIRI ART Museum. she was in charge of the choreography for animated film. Yanaihara creates works by crossing over between dance,theater and visual art.